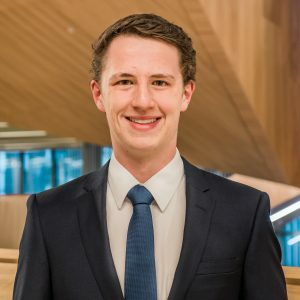 James is a first year Commerce student at Monash University, planning on majoring in accounting and economics. As a member of the subcommittee, he is able to work with like-minded individuals, who also share a passion for economics. The ability to rotate through the different portfolios allows James to develop and apply his own enjoyment of economics, which stemmed from his study of the subject in secondary school, in a variety of ways. More broadly, ESSA also provides him an opportunity to be involved outside of the normal curriculum, with a group of enthusiastic committee members. In his spare time, James likes to be as active as he can be. In the summer, he loves to play cricket and golf, as well as to run. In the colder months of the year, a lot of his time is taken up with AFL umpiring and he likes to ski if he has a chance to.